Since moving to our new location at Hobbs Farm in North Hampton, NH in the Summer of 2015, we’ve had the freedom (and the space! ), to expand our brewery. We now have a 15 BBL system from ABE, 7 fermenters, 4 Brite tanks, and 8 servings tanks, giving us more flexibility to try new things and brew more beer, which makes us all happy! Before we acquired our beautiful and historic Hobbs Farm location, we were located about 1/4 mile down the road in a warehouse space. See where we started, here. 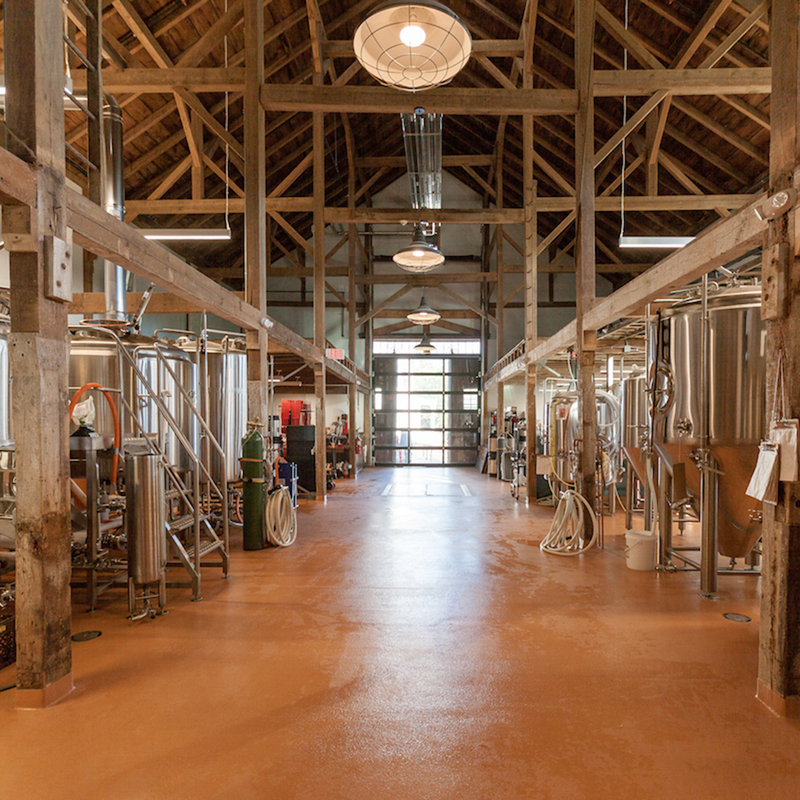 We now brew in a restored 1860’s sheep barn, with lots of natural light and a beautiful post and beam architecture. The historic farm property not only reaffirmed our vision to grow our own ingredients, preserve local farmland, and provide a great overall experience for our customers, it made that vision a reality.